4 New Years Resolutions to Manage your Chronic Back Pain. Akash Bajaj, MD, MPH Blog 4 New Years Resolutions to Manage your Chronic Back Pain. The benefits are clear: Regular low impact aerobic exercise is thought to reduce inflammation, strengthen your muscles, and creating increased blood flow to allow for healing. Take care of your feet. Get yourself a good pair of walking shoes. Find a shoe that matches your stride may help distribute weight across your body evenly, reducing stress on the back. 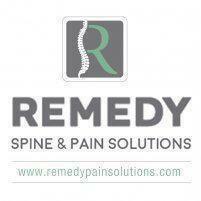 Studies have shown that sleep disorders exist in as many as 66% of individuals with chronic back pain. One bad habit that's contributing to this insomnia is using electronics like a smartphone, laptop, tablet, or TV while in bed. It's all too easy to get distracted and stay up too late when you should be preparing to fall asleep. The best way to train your body for sleep is to exclusively use your bed for sleep. Avoid reading or any other activities that you find yourself doing in bed. Also, Keep all distracting electronic devices in another room at night. Studies have shown that on average, cigarette smokes experience pain more frequently and more intensely than non-smokers. The exact mechanism is somewhat ambiguous however there is very strong evidence depicting the concordance. Quitting smoking is not an easy task, but neither is dealing with chronic pain. Don’t put off quitting. Set a date and stick to it. Share the date with friends and family, so you're more committed to that date and they can help hold you accountable to it. Sitting less is key to improving back health; one study found that just sitting just one hour fewer each day significantly reduces back and neck pain while also improving your mood. Use a standing desk at work as opposed to a traditional desk. The discs of your lower spine are compressed up to 3 times as much while sitting, so standing at work can relieve pressure on the spine. Make it a point to get up every hour, regardless of the length of time. In addition to breaking up the day, this habit will keep blood flow to the muscles in your back more active. Use the treadmill instead of the couch while watching tv.